Chris Scalia, our Cincinnati keynote speaker, is carrying his father Antonin Scalia’s story and legacy throughout the country. 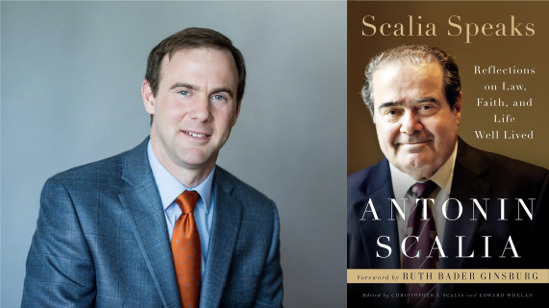 As the son of the most influential U.S. Supreme Court justices in American history, Chris recently edited and released a book of his father’s most impactful speeches on the Constitution, life, the Christian faith, and American culture. The book titled “Scalia Speaks” shot up the charts and is a #1 Best Seller on Amazon. Chris understands the times we live in and the opportunity before us to direct our state and nation down a path of peace, prosperity, and freedom. But they also understand the obstacles we face along the way. That’s why the theme for the evening is Arise: A Brighter Vision for Ohio. Something special is happening at Citizens for Community Values – by the grace of God, we are growing – expanding to take on new challenges. That’s why we’re thrilled that we’re hosting banquets in Cincinnati AND Columbus! Join us in this movement – and reserve your table today for one of these special and inspiring events!